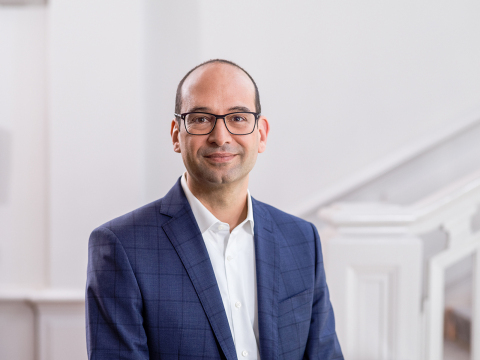 Kiumars Hamidian took office as BearingPoint's new Managing Partner on September 1, succeeding Peter Mockler, who did not stand for re-election after three terms in office. “While the firm is mature and on a strong growth path, we are putting our focus on markets, portfolio and people to further develop our organization in a dynamic market environment,” said Hamidian at his inauguration. While Consulting, Solutions and Ventures will remain the three pillars of BearingPoint’s business, the firm will enrich its portfolio focused on digitalization, regulation and analytics by creating new IP and services, and expanding its partner ecosystem fueled by innovation. “We want to develop even more of our own services around IP, for example in areas such as AI, Robotics, and Cyber Security, to push the advisory of our clients on new business models and quickly help put them into practice. Even in a market that’s hard to predict, these kinds of innovations will differentiate our firm. They already do so today!” the new Managing Partner said. “We also will concentrate on orchestrating our current ecosystem comprising more than 40 external partners. Some of these partners may become Ventures. Ventures provide great opportunities for us, as we have both the management know-how and the technological capabilities to make them happen,” continued Hamidian. “Regarding our people, I see three priorities: The first one is on diversity and social responsibility. The second is creating and maintaining an environment where our people can develop and grow. And the third is around transparency and communication,” Hamidian said. To further push the people focus of the firm, HR Leader Stephan Weber will join the global Management Committee of BearingPoint. His focus is on making the right talent available to clients, and also on the effective organization and deployment of the BearingPoint people and on the realization of their potential. Stephan will also take on responsibility for BearingPoint’s internal IT to match the requirements of the BearingPoint people with the right systems. Iris Grewe, Regional Leader Switzerland, Italy, Austria (SIA), will also take on the leadership of the region Germany, Czechia, Romania (GCR). “Putting the leadership of both regions under one person, especially a leader such as Iris, strengthens the close collaboration between the GCR and SIA regions and further leverages our capabilities across borders,” said Hamidian. Matthias Loebich, Global Leader Production Industries, will also take over responsibility for BearingPoint’s Global Consulting Network. “Matthias has a highly successful track record in our international engagements and will bring in all his expertise to further develop our internal capabilities and also leverage our global consulting network to best serve our clients,” Hamidian added.